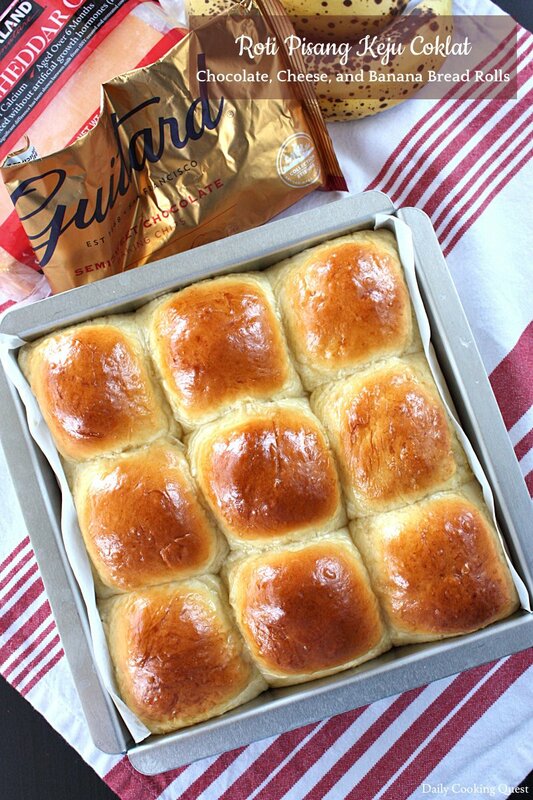 Are you a lover of sweet filling bread or savory filling bread? 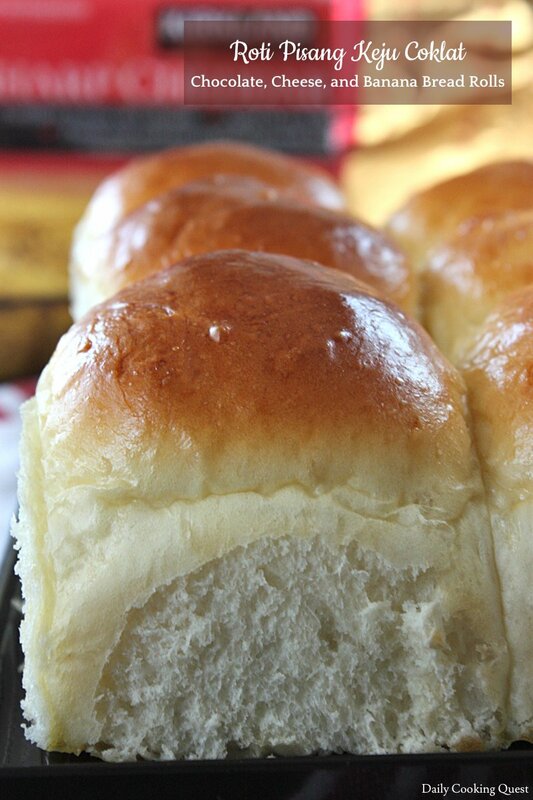 For me, I love sweet filling bread more, but my husband loves savory bread more, but even he will happily inhale these chocolate, cheese, and banana bread rolls. 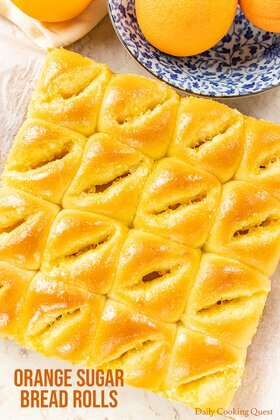 Most Indonesians love this triple combo in our bread, and it is hard to find someone who can say no to this. 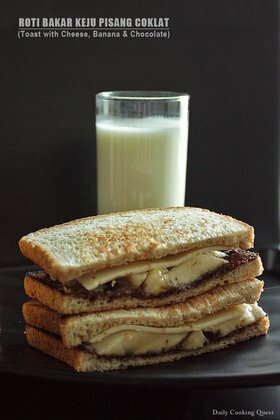 Just one bite is usually enough to convert a person into this triple combo of chocolate, cheese, and banana a fan. So, do give this a try if you are into the mood to bake some bread. As you can imagine from the name “killer toast”, the original intention of the dough is to make Asian bread loaf, for cutting into slices and make into toast for breakfast. 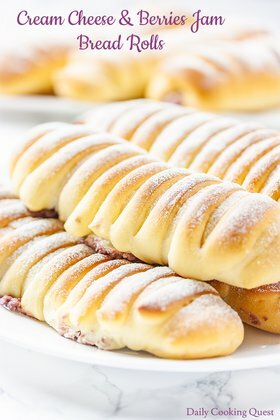 But this dough is also really good to create multitude of Asian bread rolls, the kind one encounters in any Asian bakery. The great thing about this dough is the fact that it needs only one rise. So, once the dough is kneaded (be it by hands or with machine), just shape and fill (if you want to include filling), wait for the dough to rise (about 45 minutes to 1 hour in warm kitchen), then bake to perfection. I have made many different bread with this particular dough, each and every one has yielded a very satisfying result. As you can see from the photos, the bread is super soft, with really fluffy texture, and it stays this soft and this fluffy for up to 3 days without refrigeration. When I make a huge batch of bread, I store them in tupperware, and chill in the fridge for up to 1 week. Any chilled bread will be reheated in the microwave (about 15 seconds is usually enough) to return it to soft, fluffy, and warm state, almost as close as how the bread is when out from the oven. But you really must try a just-out-from-the-oven bread, it is super good, and it rivals the one sold in bakery. Mix warm milk with active dry yeast and 5 gram sugar. Let sit until foamy, about 20 minutes. Mix together all purpose flour (or bread flour), 25 gram sugar, and salt in a mixing bowl. Make a well, then pour yeast solution, egg, and butter. Knead until dough is non-sticky, elastic, soft, and smooth. Hand knead is about 20 minutes. Divide dough into 9 portions. Shape each into a ball. 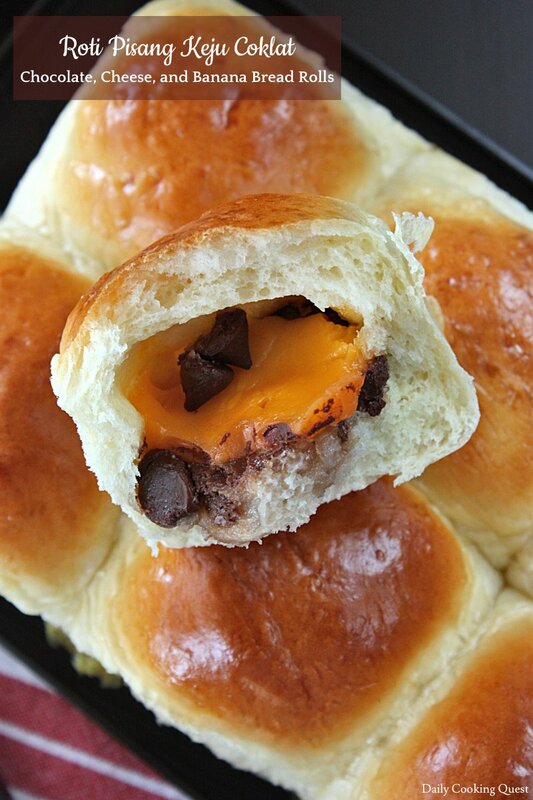 Flatten into a circle, place one piece of banana, about 1 tablespoon of cheddar cheese, and about 1 tablespoon of chocolate chips at the center of the dough, pinch to seal, and gently shape into a ball. Place into a greased and parchment lined 8" square baking pan. Cover with a wet kitchen towel/saran wrap. Proof until the volume is doubled, about 1 hour in a warm kitchen. Preheat oven 180 Celsius (350 Fahrenheit). Brush the top of bread with egg wash (1 egg + 1 teaspoon water, mix together), or milk wash (just some milk). 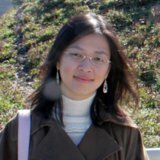 Bake in preheated oven for 20-25 minutes, or until golden brown. Brush the top of baked bread with simple syrup. (*) I use all purpose flour from Ardent Mills and get great result. oh..how much I have missed this. 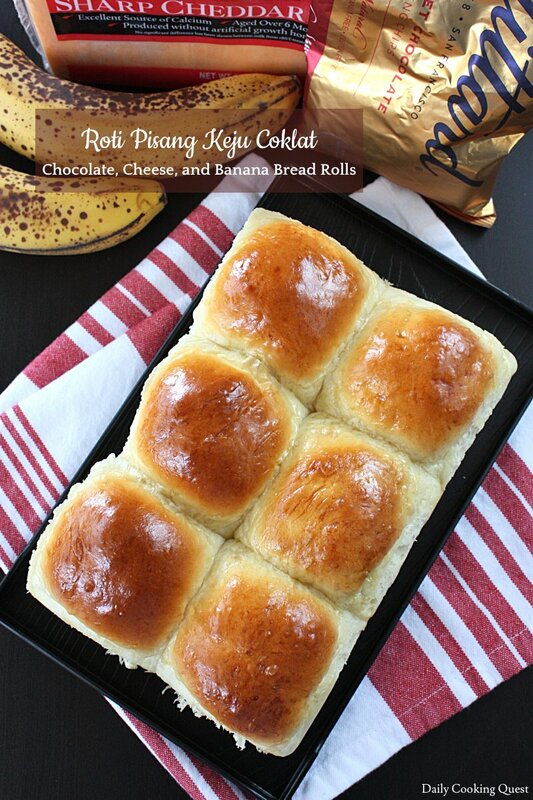 Love the combination of keju, pisang,and coklat !! !